You are here: Home / Holidays / 12 Days of Christmas Roundup – Holiday Happy Hour! 12 Days of Christmas Roundup – Holiday Happy Hour! Hi Foodie Friends! Can you believe the holidays are here? Neither can we! To kick off the season, we’ve curated 12 brand new recipes to celebrate the 12 days of Christmas! 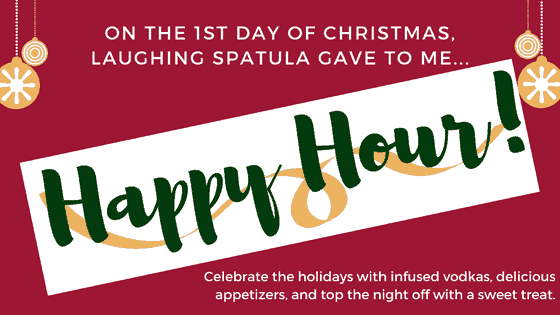 You’ll find delicious treats for the whole season, and this week, we decided to kick off the 12 days of Christmas with a series of Happy Hour themed posts. We’ve worked hard to create, cook, and photograph this fantastic recipes- we hope you enjoy them as much as we do! Each week we will be sending out FOUR BRAND NEW RECIPES. This week we are celebrating Holiday Happy Hour! As always- don’t hesitate to reach out to us via the comments, or at contact@laughingspatula.com if you ever have questions, or comments. We Love hearing from you guys! Homemade Limoncello! Click here for recipe. Sip this and enjoy the giggles (and maybe a hiccup or two! 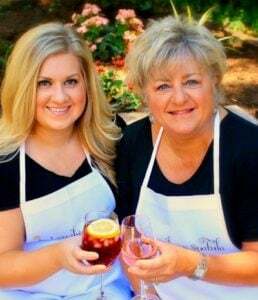 )- this zesty Italian treat packs a punch and makes for a great hostess gift. My favorite part about this recipe is that nothing goes to waste- You can use the leftover lemons to make oven baked lemon chicken and rice casserole or lemon chicken pasta and asparagus skillet! Butternut Squash and Goat Cheese Galette! Click here for recipe. 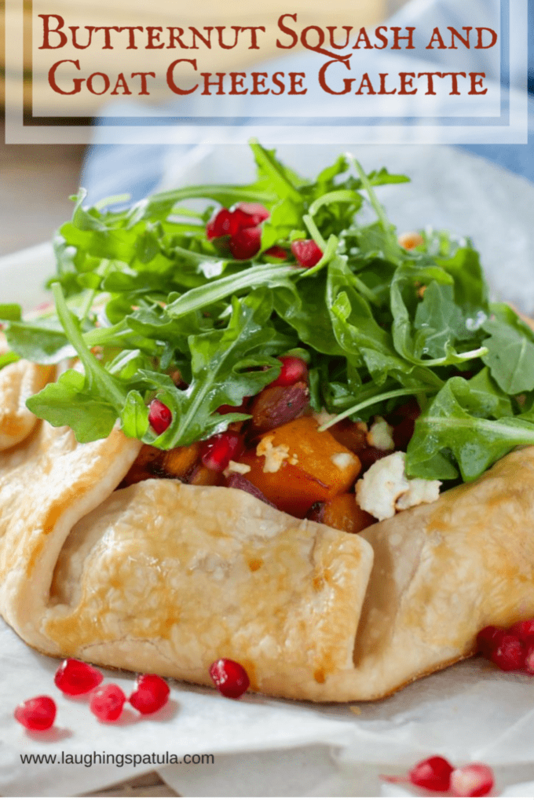 Nothing says ‘happy holidays’ like bright, festive colors- this butternut squash and goat cheese galette screams ‘yum’! Melted goat cheese oozes into flaky pastry crust, topped with a dash of pomegranate seeds, you’ll be glad you didn’t spend hours in the kitchen on an appetizer, but your guests will never know! Bloody Mary Infused Vodka! Click here for recipe. As an adult, I appreciate the fact that I need to eat a certain amount of vegetables to be healthy. I also appreciate the fact that vegetables soaked in vodka taste exponentially better. 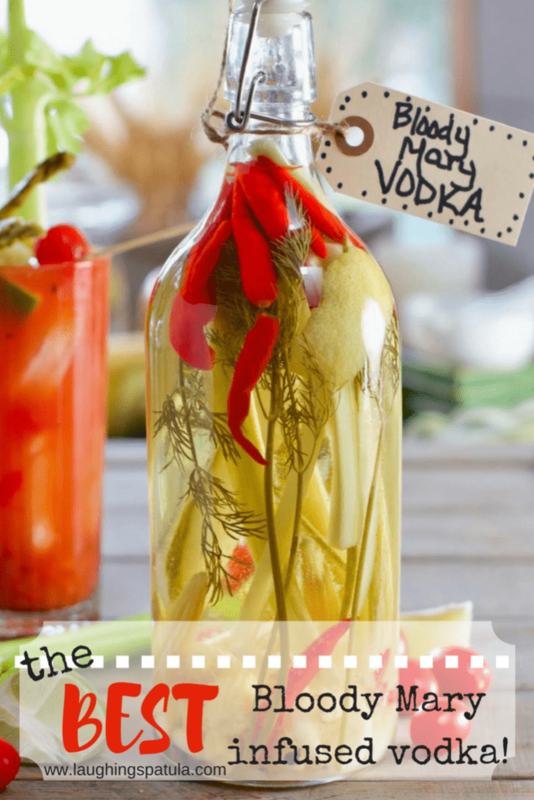 Enter- Bloody Mary infused vodka, wahoo! This delicious savory infusion is a real treat with Bloody Mary mix, and to be honest- it tastes like a garden in a glass, it’s just as great just by itself on the rocks if you’re looking to save some calories. Tie a nice ribbon around the neck of the bottle for a great hostess gift, too! Cranberry Curd Tart! Click here for recipe. Top off your night with a creamy, zesty cranberry curd tart! This delicious tart looks fabulously rustic in a skillet pan, and it pairs delicious with some Tillamook Horchata ice cream (but vanilla works just as great, too!). 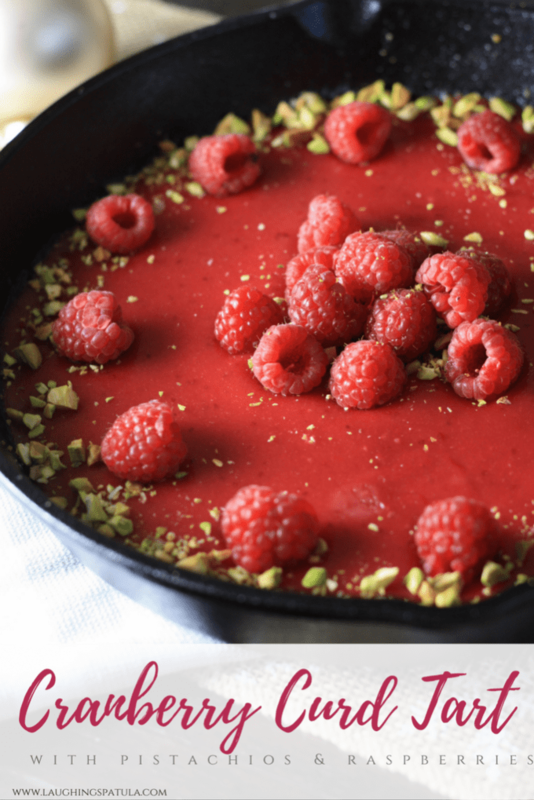 Garnished with pistachios and raspberries, this cranberry curd tart will surely send your guests home smiling! Stay tuned for our next curated holiday post for days 5 through 8! Fa la la la la la la…. You’ve put together a really great roundup of some fantastic recipes! We love limoncello in our house. What a fabulous roundup! I love everything about this roundup and will be definitely making a few of the recipes to share at my dinner party this weekend!! Thank you Elaine! It was super fun to do it! We have 8 more brand new recipes coming out…oh boy we are busy! Bloody Mary infused Vodka? I have never seen anything like it. My husband and my mum will go crazy for this gift, I hope I find some time to try out the recipe, looks simple enough to make from scratch. Thanks for sharing this! Its soooo easy Helene and it’s such a lovely gift! Hope you get a chance to try it! 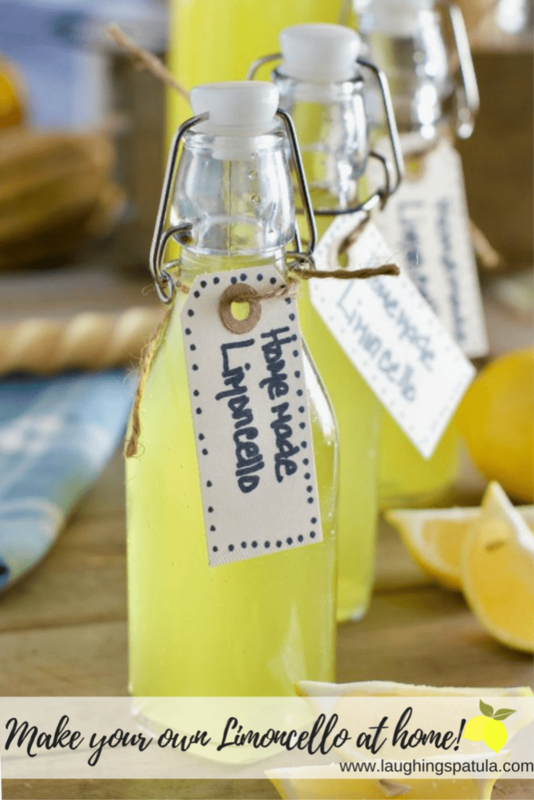 That limoncello is calling my name! And the cranberry curd tart is gorgeous! Happy holiday season, dear. Happy Holidays to you too! I need to try your Southern Fried Chicken! I think it’s what I want to find in my stocking this year! :). Cheers! Here’s to my favorite season of the year, I’ll be eating and drinking my way through this list, starting today 🙂 I’ve actually got a homemade limoncello coming up on the blog, it’s such an amazing flavor! I can’t wait to see how you make your Sue! I had to make a second batch hiccup!